Grammar is nothing more than rules that people follow when they use a language. The rules are what give the language its structure. Without it, no one would understand the language as it will just be an unrelated vocabulary together. 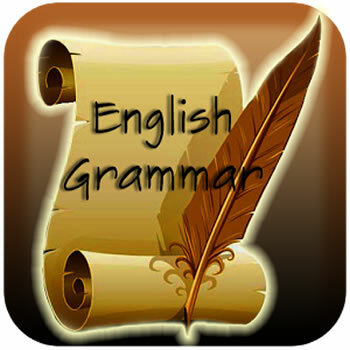 Grammar comprises of things such as nouns, verbs, adverbs, adjectives, prepositions, etc. As well as how these things are linked together into sentences and paragraphs. While all of this might seem overwhelming, don’t worry, there are steps you can take that will make it easier to get a handle on all of it. Textbooks: Textbooks are some of the easiest and simplest ways for beginners to acquaint themselves with the basics of grammar and in a format that will be targeted at them. Textbooks tend to break things down in simpler formats for students who are just starting to learn the language. Additionally, the textbooks major advantage is that it will be in the speaker’s original language. Tests and exercises: Similarly doing tests and exercises aimed at improving grammar skills can greatly help. They are designed to help test the grammar skill of the speaker and to improve it. They can be useful tools for those that enjoy taking tests and completing tasks. However, for those than do not, there are other ways. Speak with others. Gain Input: One of the easiest ways to improve language and particularly grammar is to speak with others. Speaking the language is the best way to learn it and the native speaker will usually have a good grasp on the grammar. Also, ask them for their input on your grammar: what you are using wrong, and how should you say it instead. As native speakers they will be best suited to help you, and to introduce you to colloquialism, i.e. how they actually use it in real world rather than the proper way of using it. Be aware of grammar: When you are speaking to someone, or come across something in English, be aware of the grammar they use: how they say things, how is it written, etc. Noticing the grammar in real life will help you easily adopt them. Read Books and Newspapers: Another good way to learn grammar is to read as much English as you can, whether that is books, newspapers, magazines, blogs, advertisement posters, etc. Exposing yourself to as much English grammar as you can will really help improve grammar. Watch Shows and Movies: If reading isn’t your thing, then watch as much English TV shows and movies as you can. This will also give you a feel for how things are spoken, how their phrases are framed, etc. This works as listening to native speakers especially for introverts and sky people. While there is no easy way to learn grammar, these steps are sure to help make learning grammar a bit easier to manage rather than the daunting task that it appears to be. Also keep in mind that there is no right way to learn grammar; the right way is the way that works for you.